Step 2 Kitchens for Kids are a great toy to because they will play with it for years. Long after the thrill of other toys have gone to the wayside, the Step 2 kitchen playset will still be going strong. I see these in peoples play areas long after their kids have left the house. Why? Because they know if they have anyone that visits with kids, this is the perfect playset for them. I have also seen these passed down over the years to different homes. 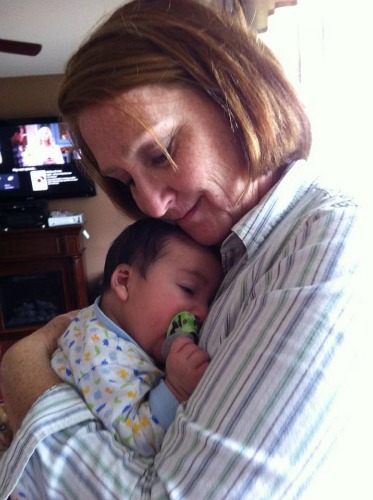 I know that my grandson has one and it is the first thing that his friends do when they come to play. Run to the kitchen. I haven’t seen a child yet that didn’t like playing house. Kid’s have liked to play house for centuries I am sure. I know my kids loved it. 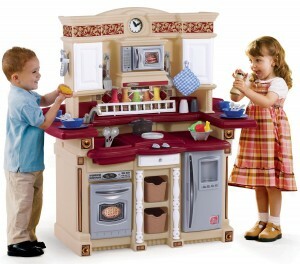 Boys and girls alike love to play with kitchen playsets. The more pretend food for your play kitchen, the better. They will play for hours in their little make believe home and cook up a storm. You may get to taste some of their tasty dishes, if you are good. These kitchen playsets usually have a refrigerator, oven, sink and cabinets. Because kitchens have changed so much in the last 30 years, I would guess that the new ones probably have a microwave too. 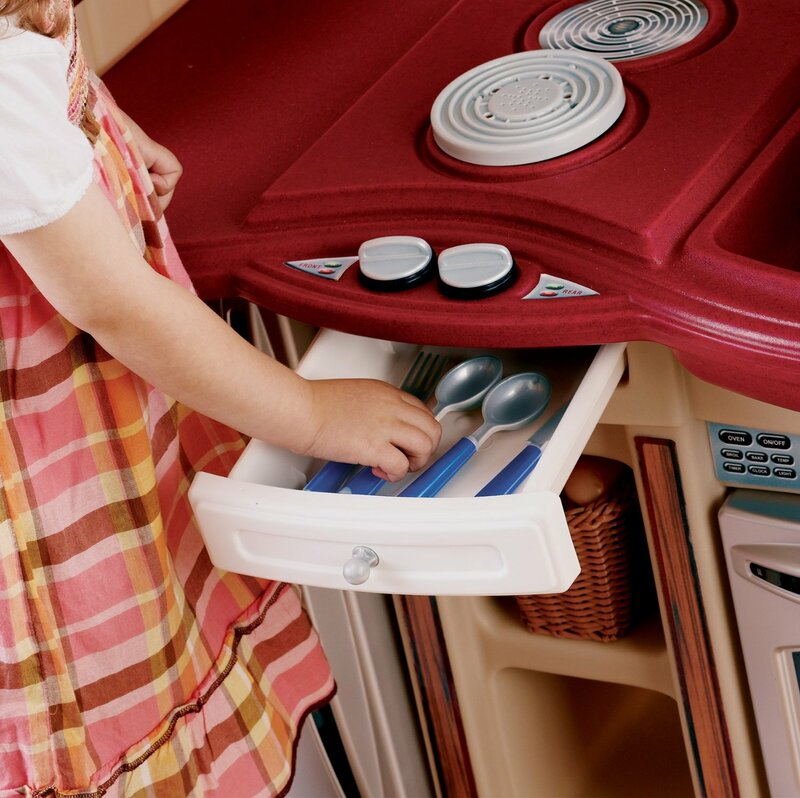 They will have so much fun putting their food and dishes away in the cabinets, just like mommy. One even has a recycle bin. That isn’t something you would find in the older ones. It teaches them to be mindful of recycling. 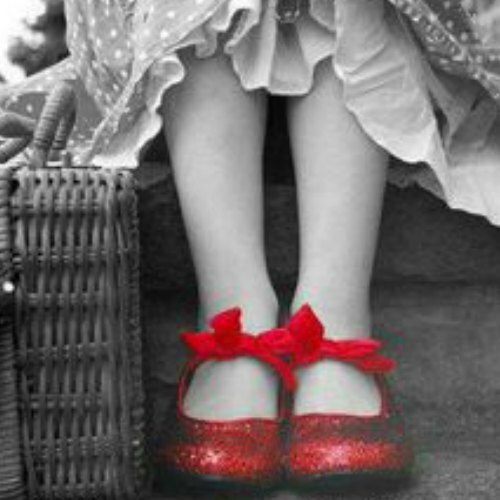 I really like that! Bring your kids together in cooperative fun with this bi-level three- sided Step 2 kitchen. It has everything you need to get started, plates, forks, spoons, and spices. Listen for the sounds this Party Time Kitchen makes as you create wonderful dishes for your guests. The microwave makes real sounds like they are cooking and the stove lights up and you can see it under the pans. It looks like the burner is getting hot, but we know it isn’t. It is perfectly safe. But they will love the idea of cooking on a stove that is just like moms. Step 2 makes these with little kids in mind, so you know it is durable and sturdy. You will need to assemble it, but from the reviews it shouldn’t take much longer than an hour or so. Watch this video from Step 2 about the features and construction. This Step 2 Heart Home Kitchen set is a taller one than most. So if you have kids of varying age groups, this might be a perfect choice for you. Step 2 even thought of the dog or cats in this kitchen. You kids will learn to take care of them by keeping them fed and watered. That is a huge plus right there. They make these with kids in mind, so you know it will be sturdy and can handle anything they throw at it. There is assembly required, but it isn’t too hard. This Step 2 kitchen also features a recycle bin. Kids know they should recycle, maybe this will make them more cognizant of it……maybe. It also has reusable grocery bags. The cupboard doors are clear so you can see what you have in the shelves to cook with. The refrigerator has a wipe-off board on it for the grocery list and has a water dispenser on the outside of the door….just like moms. The oven, refrigerator and microwave are built to look like stainless steel. There is plenty of play room here for several children. Here is a great video from Step 2 introducing this great kids pretend kitchen. Step 2 gives us so many pretend kitchens to choose from, that it is hard to choose just one. Your kid’s can’t cook unless they have something to cook with. So let’s give them some good food choices. Some of these Step 2 Kitchens do come with a few things, but more is always better. Be sure they have what they need to cook with. We never want to frustrate them by not giving them the right tools for the job. I hate when that happens in real life….don’t you? What will you feed your guests on if you don’t have dinnerware? Better think about that before it is too late. Find some awesome dinnerware that they will love.